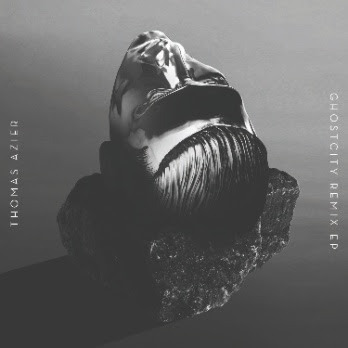 Berlin’s dark electronic pop singer, producer, and multi-instrumentalist Thomas Azier released his Ghostcity Remix EP through Casablanca Records. Fans have already heard Pyramid’s great remix of “Ghostcity,” but today Azier has shared his self-remix of the track, along with compiling a new mixtape ( soundcloud). The mixtape features music from some of Azier’s favorite artists, including Kanye West, Kraftwerk, Hudson Mohawke and more. Thomas Azier was born in the Netherlands, but relocated to Berlin at age 19. After hundreds of sketches and pre-productions on his computer, Thomas Azier eventually started to lay the final touches on his debut in fall 2012. He set up his studio in an old East German factory where the church bells for the Kremlin used to be manufactured. That old factory proved just the right place for the truly industrial twist on pop music Azier was looking for. This entry was posted on December 11, 2013 at 6:31 pm and is filed under News with tags Casablanca Records, Electronic, EMN Promo, Experimental, Hudson Mohawke, Kanye West, Kraftwerk, Listen, Mixtape, Promo, Thomas Azier Ghostcity Remix EP. You can follow any responses to this entry through the RSS 2.0 feed. You can leave a response, or trackback from your own site.